The great German mezzo-soprano Christa Ludwig described Böhm as her ideal me**r, not least because he was one of those rare conductors who genuinely understood the voice. But then, she was Böhm’s kind of artist: a singer who sang in tune and on the beat, with every note-value and rest precisely observed. Böhm was austere and less assured singers than Ludwig had a harder time, but all the same, Böhm was respected as an artist who patently knew his craft. Böhm was one of the quintessential conductors of opera in the history of recorded music, especially when it came to his three beloved musical “gods”: Mozart, Wagner and Richard Strauss – the latter with whom he enjoyed a long personal and professional relationship. 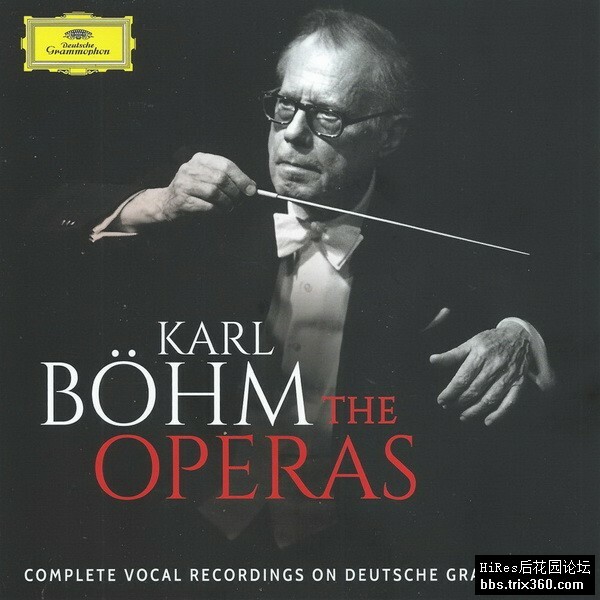 During his career Böhm enjoyed tenures with the Munich Opera, and as Music Director in Dresden, Vienna and Salzburg, and at the same time spent a good deal of time freelancing abroad.Many of Böhm’s most memorable recordings were made live. He disliked studio recording and was often misrepresented by it, especially in the orchestral repertory. Hence his reputation among those who never heard him live in the opera house as a kind of fossilized Kapellmeister. 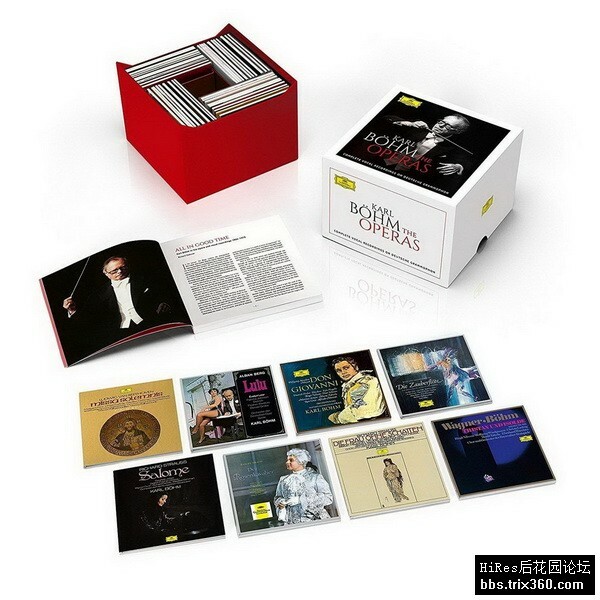 Alongside the studio productions here are timeless documents from Vienna, Salzburg and Bayreuth – including Wagner’s Der fliegende Holländer and Tristan und Isolde, recorded at the Bayreuth Festival and other touchstones of excellence and historic resonance, Strauss’ Arabella and Daphne, made respectively at Salzburg and Vienna.